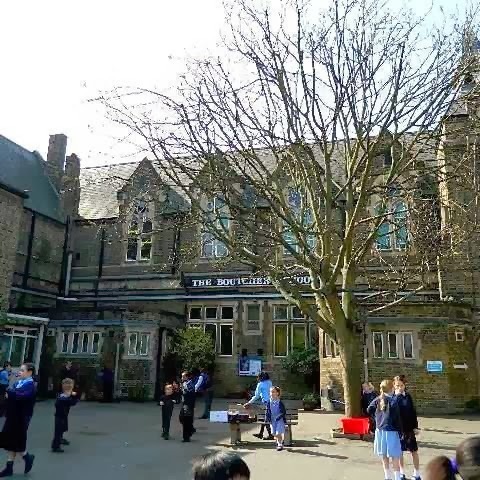 To Boutcher Church of England Primary School in our neighbouring parish of St Mary's, Bermondsey, for the weekly service of Holy Communion for Key Stage 2 ( the juniors, in old money). Every year those children in year 5 who would like to be admitted to communion, following participating in a course led by Charlie, the rector, are admitted to communion by the bishop at a special service, so that week by week as the school celebrates communion, children from years 5 and 6, together with the teachers can receive the bread and the wine. It was a very moving event - good simple, child-friendly liturgy, a dramatised bible reading brilliantly presented by year 5, lively singing, prayers led by the children, communion distributed by Charlie and two of the teachers to the children who filed up to receive. Afterwards two year 6 children came up to me and said 'would you like a tour of our school?' and then showed me around all the classrooms, the playground, and their beautifully tranquil 'peace garden'. I was impressed that there was a prayer corner in every classroom, and lots of references to the Christian character of the school in the displays in classrooms and corridors. 'We are a Christian school', one of my year 6 guides told me, by way of explanation. Rev Peter Allen, a.ka. 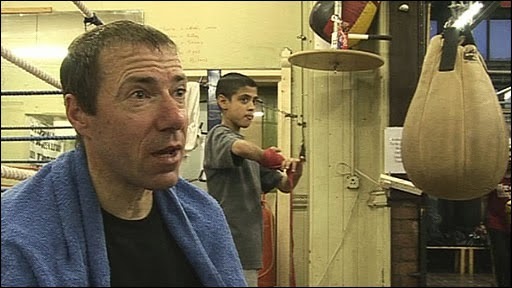 the boxing vicar, formerly Sheffield Sports Chaplain, and now vicar in Essex is coming to Bermondsey on Saturday 22nd March for our next Men's Breakfast at 8.30am. Get your ticket this Sunday. Huge changes are taking place all around us in Bermondsey. 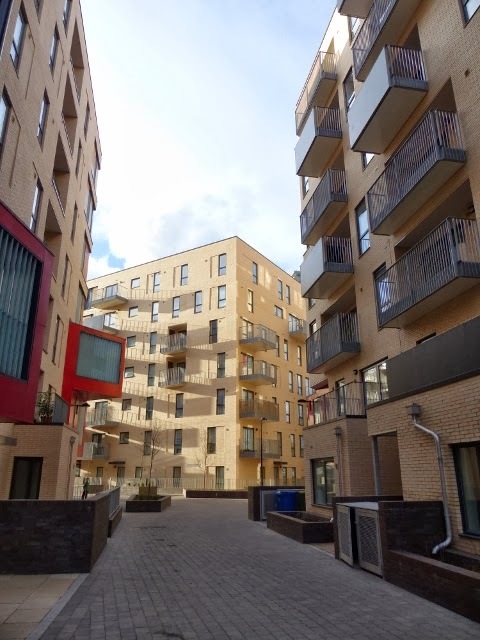 The latest stage of the 2,000 flat Bermondsey Spa development is now open, with the new residents moving in (we are hoping to distribute a 'Welcome to Bermondsey' card from St James's to them), and the final two blocks in the project are now under construction. Meanwhile 700 new flats are being built at Chambers Wharf and more will follow on the biscuit factory site and the Southwark College site. 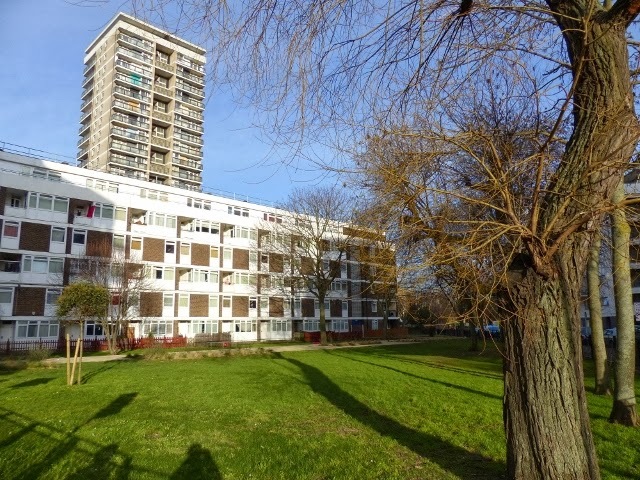 Just near to the Salmon Youth Centre, at the junction of Old Jamaica Road and Marine Street (left) is this six-storey block of council flats from the 1950s. On the other side of Salmon, just round the corner from where this photo was taken is the latest part of Bermondsey Spa to open (pictured right). Social housing 1950s-style included plenty of grass and trees. The 2014 blocks are much taller, built more closely together, and have virtually no green space around them, unlike most of the 50s and 30s blocks in the parish. The economics of social housing in the 21st century and the pressure of space in inner London may make this inevitable, but it does mean that the community open space that we do have, such as the Churchyard, needs to be treasured and preserved (and three cheers for Southwark Council for all they do in that regard), and the new 'public square' near to the new Tesco needs to be, well, a square for the public, and not just another car park. 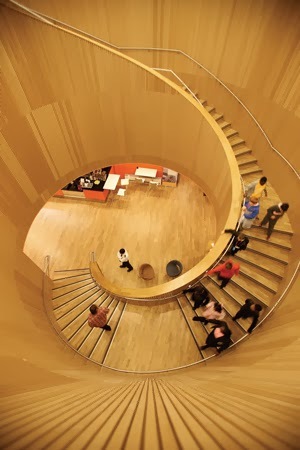 To Canada Water Library (interior shot below) for the inaugural meeting of Together Southwark, a new partnership between the Church Urban Fund and the Diocese of Southwark. Clergy of the most socially deprived parishes in the Diocese had been invited to this first public meeting. Nearly half of the parishes in the diocese are among the most deprived in England. 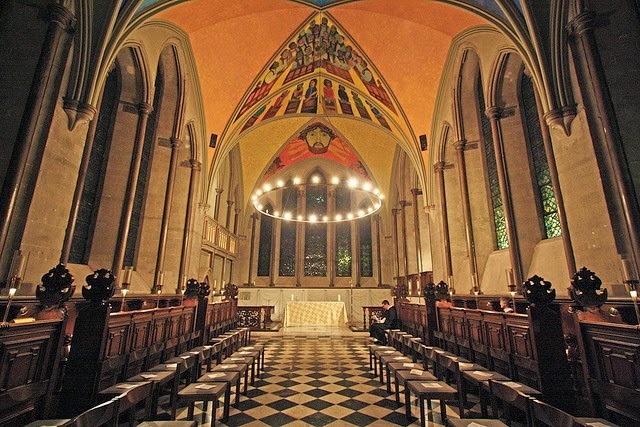 Only seven other dioceses in England have a higher proportion of deprived parishes. Parishes in Southwark suffer from very high levels of pensioner poverty, with 32% ranked among the worst parishes in England. In the most deprived parishes in Southwark almost half of children are born into poverty. A boy born in the poorest parish in Southwark will live 11 fewer years than a boy born in the richest parish. Men and women living in the borough of Southwark also suffer from a high rate of long-term, limiting illnesses, affecting their employment prospects. Women in the borough are far more likely to be unemployed, with 26% having no educational qualifications. promotes mission, ministry and practical action to tackle poverty across South London and East Surrey. Together Southwark focuses on identifying ways of working that empowers the poorest individuals and families in the parishes. We want to ensure that they are able to build stable and healthy lifestyles that overcome the debilitating effects of poverty. financial support for projects in parishes that are tackling the effects of poverty and transforming the lives of the poorest and most marginalised. awareness of work that is being undertaken across the diocese and to encourage the development of new work when appropriate, so that every church in Southwark is involved in tackling poverty through giving time, money, action and prayer. The work of Together Southwark is underpinned by the gospel imperative of working with the poor to build a just and righteous society where every individual is empowered to reach the highest level of personal fulfilment." 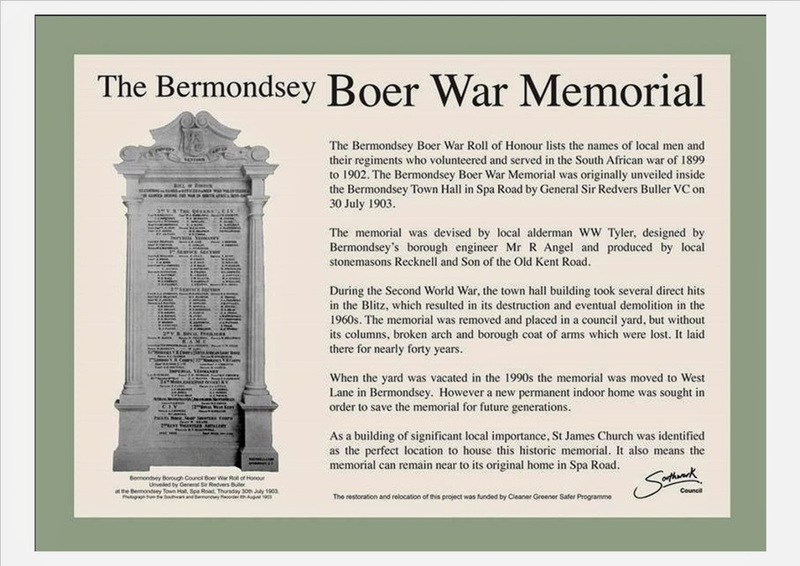 According to Councillor Anood, it had taken longer than the Boer War itself, but the Bermondsey Boer War Memorial has finally moved to its new home in St James's Church and today it was officially unveilled by the Mayor of Southwark (wearing the chain of office of the old Metropolitan Borough of Bermondsey) at a service of dedication attended by councillors, Simon Hughes MP, the Pearly King & Queen, military representatives and local historians. 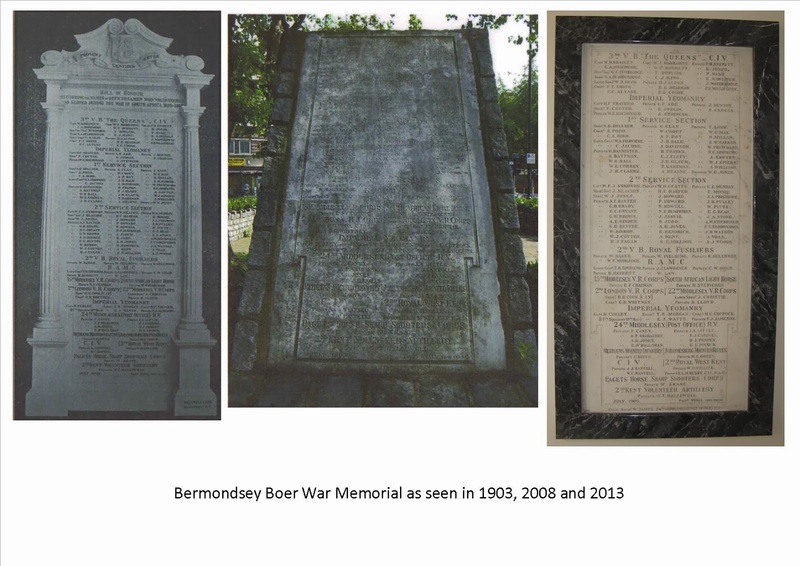 The Mayor laid a weath of poppies inscribed 'from the people of Bermondsey' at the foot of the memorial. Originally unveilled in Bermondsey Town Hall in July 1903, the memorial spent some time in the open air (where it deterioriated quite badly), before being placed in a council store for several years, before the project finally got off the ground to have it properly restored and relocated in St James's Church. Interestingly, it is not a memorial to those who died in the war, but to those who served. Happily, we understand that all but three of them returned home afterwards. In my address I read out some of the names. They were Bermondsey boys, I said. Their families missed them. Their families prayed for them. They were made in God's image and loved by him. 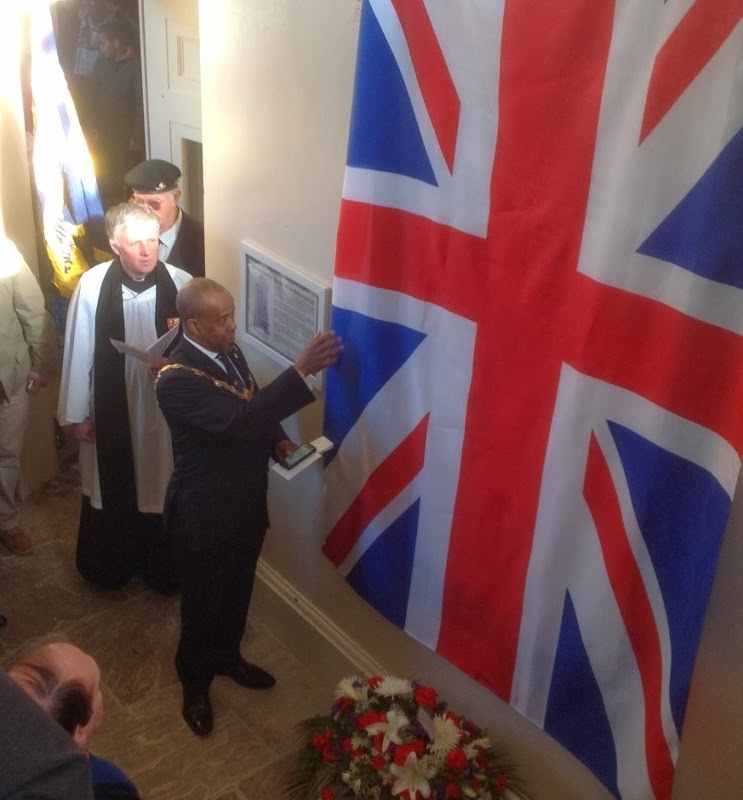 It is good that they are remembered more than a hundred years after they first heeded the call to serve king and country on the other side of the world. I mentioned the riverside sculpture (sadly stolen, soon to be replaced) of Dr Salter's Daydream, and how the good doctor and his wife had dreamed of a better Bermondsey and had worked for it. Then, from Revelation 21, I spoke of how the Bible ends with a dream or vision of a whole new, better, world that God will bring into being. It is not pie in the sky, but God's solid plan for the future. I spoke, too, of the old BBC2 programme Playschool , where each day viewers would look through the round window or the square window etc. We were going to look through the Revelation window to see God's future of a new heaven and earth, I said, where there would be no more war, or death or mourning or pain, and where God would wipe away every tear from our eye. On a day when we look back with thanksgiving for the past, it is good, too, to look forward with expectation and hope, to the world to come. (Thanks to Pat for photo top, and to Gary Magold for those below). Click on them to enlarge. Our third and final day of General Synod began with a presidential address by the Archbishop of Canterbury. Next the Synod considered new proposals concerning safeguarding of children and vulnerable adults, arising from an investigation into procedures in Chichester Diocese. Next up was a return to yesterday's legislative business concerning PCC meetings (which hadn't quite been completed), before the Synod debated a motion from Southwark Diocese on environmental issues which passed by a huge majority. Next was lunch and I attended a fascinating fringe meeting on research that has been done among a thousand families who have had children baptised in the Church of England. The project is aiming to examine how families understand baptism and how the mission opportunities of baptism ministry can be baptised. Currently 1 in 6 children born in England are baptised in by the Church of England. That works out at about 2,200 baptisms every week. Add all the guests coming along in support and you have a huge group of people visiting a church service just for baptism services. The big question is what we make of the opportunity. After lunch we had two Private Members Motions (motions by individual Synod members that had attracted the necessary 100 signatures from other members in order to be debated on the floor of the chamber). The second of these - on clergy vesture (ie can robes be dispensed with on occasions) - was postponed until the next meeting, but first we debated the change to the Girl Guides Promise. Formerly, girls promised to 'love my God and serve the Queen' Now they still serve the sovereign, but God gets no mention, instead they pledge 'to be true to myself.' Not only is this not the same as believing in God, it is, as some people said, almost the opposite of believing in God (as Christians understand it). They were plenty of Guiders in the public gallery for this debate and I would say a higher incidence there of knitting than normal during debates. It was a good debate with several synodical Guiders speaking up for the positive influence Guiding had had on their spiritual lives. After a debate which attracted a flurry of points of order, synod by a large majority affirmed its belief that girls should still be able to promise to love God. After that we had a presentation on the Pilling Report on Human Sexuality. Questions could be asked of the author but this was just an initial airing of a subject that will return in due course.. It was them time to go home. 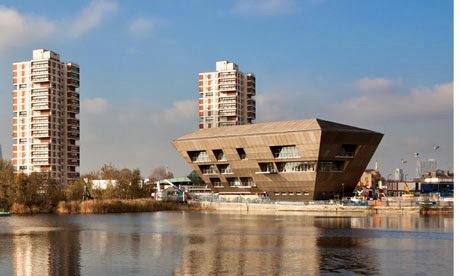 Synod reconvenes in July at the University of York. 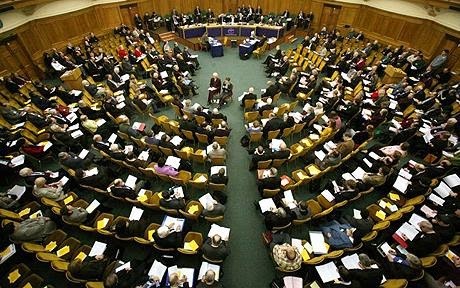 After a service of Holy Communion in the main assembly hall at which the Archbishop of Canterbury preached, the Synod settled down to debate the legislation that will permit women to become bishops. Peace has broken out in our deliberations, and there seems a new spirit of generosity and sympathy abroad. It was really, well, quite Christian, and you feel God has really been at work in our midst, working things together for good in a classic Romans 8.28 kind of way..
Of course, not everyone is in favour of women bishops, but even those most strongly opposed on grounds of conscience to the measure, seem content for it to go forward in its new slimmed-down form. 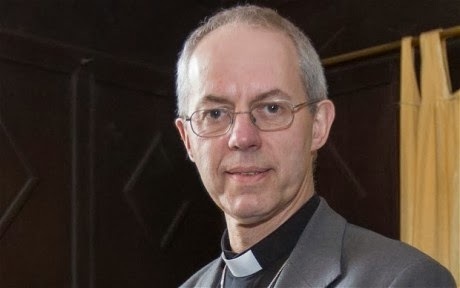 Fourteen months ago the old measure was defeated by those in favour of women bishops who did not feel that enough provision was being made for those opposed, and so voted against. This was a point that the press, the BBC, and the combined Houses of Parliament seemed entirely to miss. We were not voting against women bishops, so much as against a certain piece of legislation, because we actually believe in keeping the whole church together. The new legislation approaches things in a different way, is designed to make generous provision for those opposed, and it has a kind of Ombudsman to deal with any disputes that may arise. It seems to be attracting wide support. 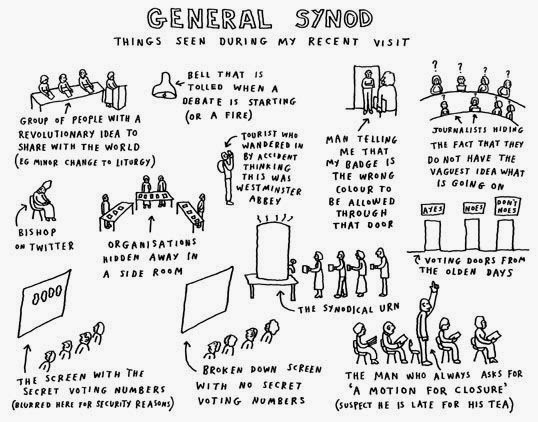 All went well today, including a motion to speed up the Synod's glacial methods of operation and, as a result, final approval could be given at the York synod this July. Please God, we can then concentrate on mission and evangelism, and actually getting the Gospel out to the people of England. on church growth. Around 100 members turned up (where were the other 400?) 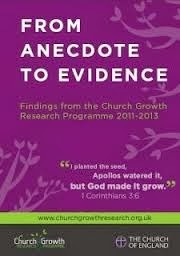 for a brilliant presentation of the Church of England's most thorough piece of research on church growth, on where it is happening and why. Adrian and I are bringing copies of the report, From Anecdote to Evidence, back to Bermondsey and it deserves to be widely read across the country. See the research project's excellent website here. There was a bit more to do on women bishops after lunch and then most of the rest of the afternoon was then taken up with legislative business (or, time for tea, as it is also known). Business in the Members' Tea Room remained brisk as the synod toiled over the Draft Church of England (Naming of Diocese Measure), the Draft Church of England (Pensions) (Amendment) Measure, the Draft Parochial Fees and Scheduled Matters Amending Order 2014, the Legal Officers (Annual Fees) Order 2014, the Church Representation Rules (Amendment) Resolution. In due course, with parliamentary approval and Royal Assent, this lot will become the law of the land, and so the legal officers, begowned and bewigged, were on hand to make sure we didn't mess things up. It was important, detailled, though not thrilling work. allow the new diocese of West Yorkshire and the Dales to be so-called, changing a custom dating back to the 4th century of only naming diocese after major towns and cities. 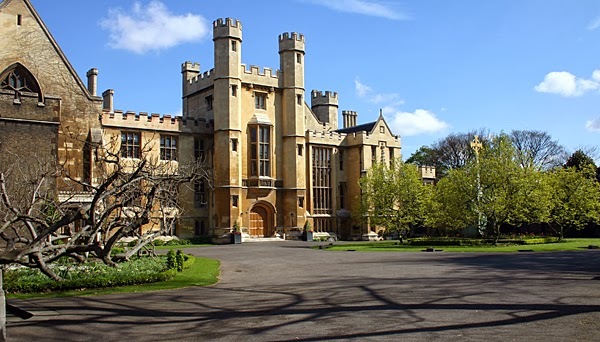 Synod concluded a long day with Evening Prayer at 7pm, but the day was not quite over - for some of us it was time (stand by for a massive bit of name dropping....) to cross the river for drinks with the Archbishop of Canterbury at Lambeth Palace (above). It was good to talk to our near neighbour, the Dean of Southwark, about a get together of clergy from the riverside parishes to talk about the rapidly changing scene in our part of London, not least the rapid population growth - 3,500 new flats in St James's parish, and a doubling of population in the Cathedral's parish, and a similar picture everywhere from Waterloo to Rotherhithe. To Church House, Westminster, just round the back of Westminster Abbey, for the February sessions of General Synod. Our three day meeting will be dominated by the women's bishop legislation, but that is really for tomorrow which is to be devoted to that issue. It's a bit like the first day back at school after the holidays. Lots of excited chatter. The kindly headmaster (Justin) welcomes us back. Down in the cloakroom we each have our own peg to hang our coats on, carefully labelled with our synod number (I'm 215). This section is virtually incomprehensible except to the most diehard Synodspeople. Next up is the report of the Business Committee, followed by a debate about what is on the agenda and (more usually) what should be (in the opinion of certain synod members). This is an opportunity to make a point that otherwise would not be made, or at least to make a bid for an item to get on a future agenda. It also offers the opportunity to give an airing to topical issues such as the Somerset floods (good contribution here from the local Archdeacon, Andy Piggott)..
After that it was Question Time, the chance to ask the House of Bishops, the Archbishops Council (and various committees), or the Church Commissioners questions on any matter of fact or policy (but not of opinion). As always there was a huge range of issues, with one particular hot potato (attracting eight questions) being the decision of the Church Commissioners to move the new Bishop of Bath & Wells out of a flat in the Bishop's Palace, and into a £800k house in an outlying village. They seem to have upset the whole of Somerset on this one. Official business concluded at 7pm, and then it was off to the EGGS (Evangelical Group on General Synod) dinner and meeting which began, appropriately with a rousing rendition of And Can It Be?, before we got down to a discussion on agenda items over the next two days. Every few months the local police send round a bulletin of news. I was struck by this item in the latest edition: the Southwark Park Fireworks Event was attended by twenty-thousand people, and no crimes or injuries were reported. More good news: compared with 2012, crime in 2013 in Bermondsey & Rotherhithe was down one per cent, reports the police, and anti-social behaviour incidents decreased by nine per cent. It's been a busy week with a school governors meeting on Thursday, a very interesting meeting about church growth on Monday, two school assemblies on the plagues of Egypt (we're doing Moses at present), the Big Picture. on Wednesday and Saturday (looking at Abraham), a C4T prayer meeting, a meeting of the St James building group looking at external repairs for the building, and then, on Saturday, our second men's breakfast. A good bunch of blokes turned out at 8.30am for a full English breakfast and to hear how the Reverend Leslie Wells delivered his fifth child on the living room floor. In those days Les wasn't a rev. He wasn't even a regular churchgoer. But when his wife announced that Wells No.5 was about to enter the world straightaway, Les not only asked God for help, but came to church a fortnight later to say thank you to the Lord for a bonny 101b baby safely delivered. That was the beginning of a whole journey of faith for Les, and, twenty years later, he is vicar of St George's Church, on the St Helier estate, a local man sharing the Gospel with local people. 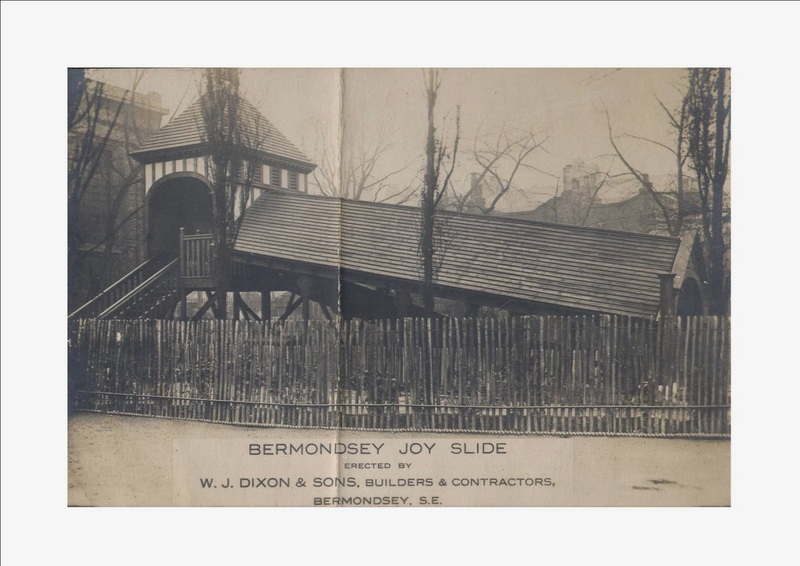 Thanks to Gary Magold for this early picture of the 'Bermondsey Joy Slide' which was located in St James's Churchyard and delighted generations of local children. It was a gift of Peek Freans, the biscuit firm, and was constructed by W.J. Dixon & Sons, a local building firm. The big question is (as I am often asked): can we bring it back - and restore joy to the churchyard? 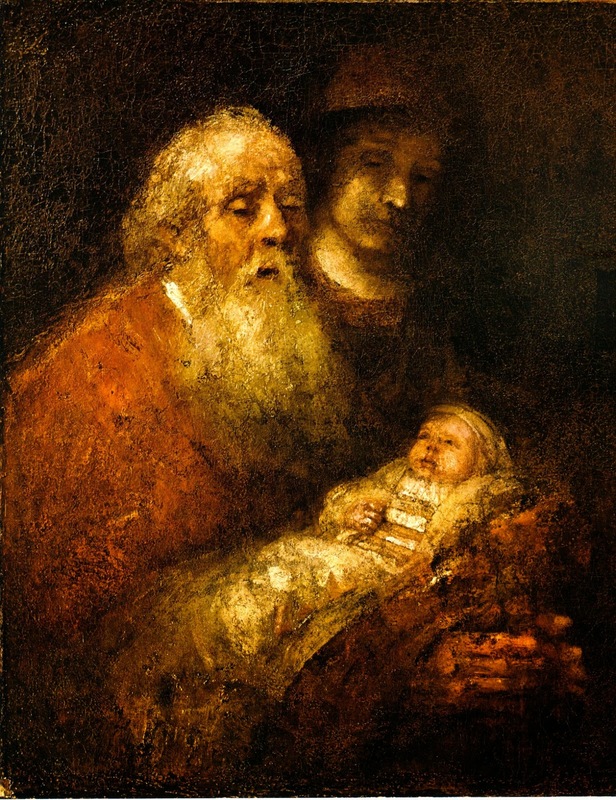 Forty days after his birth, Joseph and Mary took Jesus to the temple at Jerusalem (Luke 2.22-40), and today, 40 days after Christmas Day, the church celebrates the festival of the Presentation of Christ in the Temple, as we did today at St James. We welcomed babies from two families today for baptism at today's family service and in her talk Penny skilfully made links between today's baptism service and the events in the temple of Jerusalem two thousand years age. In the interests of equality, the next thing is to organise a breakfast for the ladies - who, incidentally, have already indicated that they are not so keen on the traditional 'fry-up' as the blokes. We may have to go for something healthy. Possibly even fruit. 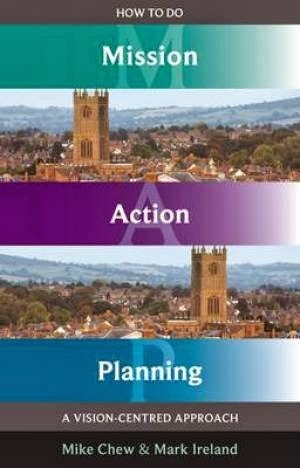 Every parish across the Diocese of Southwark is being asked by the bishop to produce a Mission Action Plan. Accordingly parishes from across the Woolwich Area were invited to send 3-4 people for a MAP training morning held yesterday at St Barnabas Dulwich - and each parish was presented with a copy of Mike Chew and Mark Ireland's book (left). Here at St James & St Anne's we've already been doing quite a bit of thinking about our mission to Bermondsey and I sense that the MAP process may help to crystallise that thinkiing for us into what we actually need - a definite plan for action.